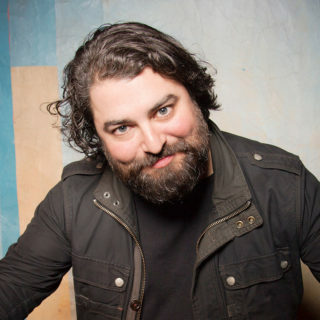 Sean Patton is a comedian based in Los Angeles and New York, by way of New Orleans. He began doing stand-up in the Crescent City and have since performed in comedy clubs across the US and Canada, as well as The Melbourne International Comedy Festival (2011, 2018), Just for Laughs Chicago (2013), Just for Laughs Toronto (2013), and Just for Laughs Montreal (2008, 2010, 2012, 2016, 2018). He’s performed on Comedy Central’s Live at Gotham (2009), Late Night with Jimmy Fallon (2010), and Conan (2011, 2013). 2013 also marked the release of his Comedy Central Half Hour. More recently, He’s been on @midnight (2014, 2015), The Meltdown with Jonah and Kumail (2015), This Is Not Happening (2015, 2017, 2019), Showtime’s Live from SXSW (2017), TruTv’s Comedy Knockout (2016, 2017, 2018), and This week at the Comedy Cellar (2018). As for acting, He’s appeared on IFC’S Maron, Comedy Central’s Inside Amy Schumer and TruTV’s Those who can’t.